for print, merchandise design and production. 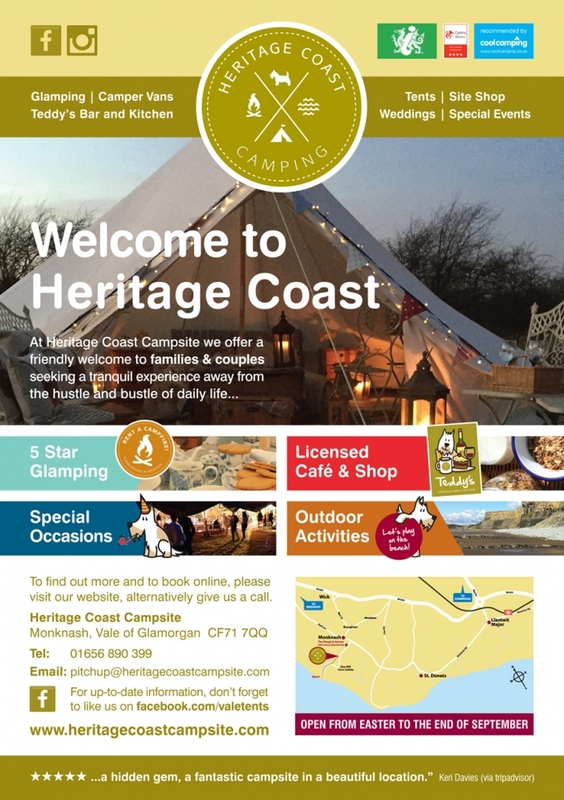 Heritage Coast Camping offer a unique glamping experience in the Vale of Glamorgan. 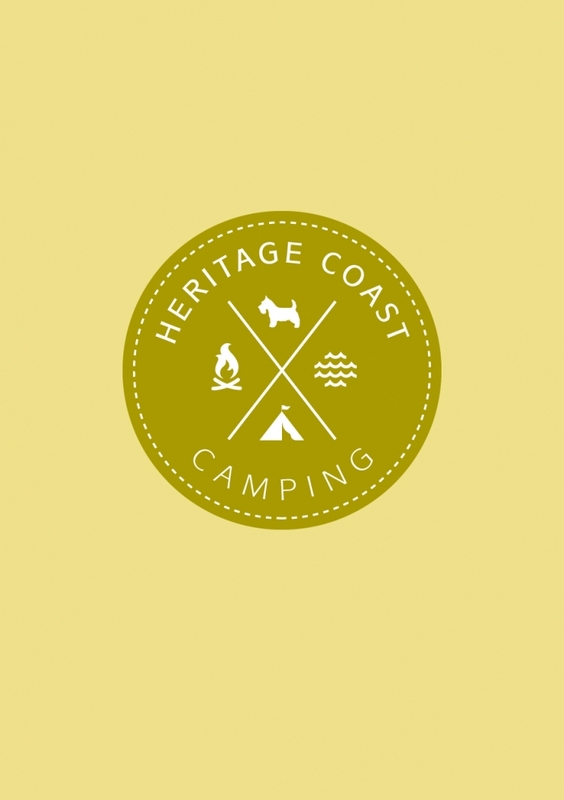 We were approached by Waffle (an independent marketing agency) to help promote and re-fresh Heritage Coast Camping’s existing identity. 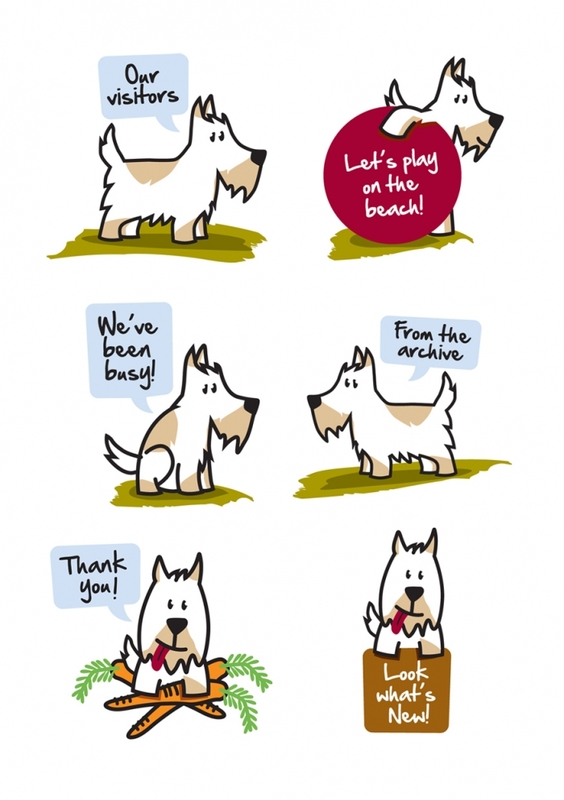 After and initial meeting we were tasked with introducing a new, fresh but quirky feel to their marketing material. 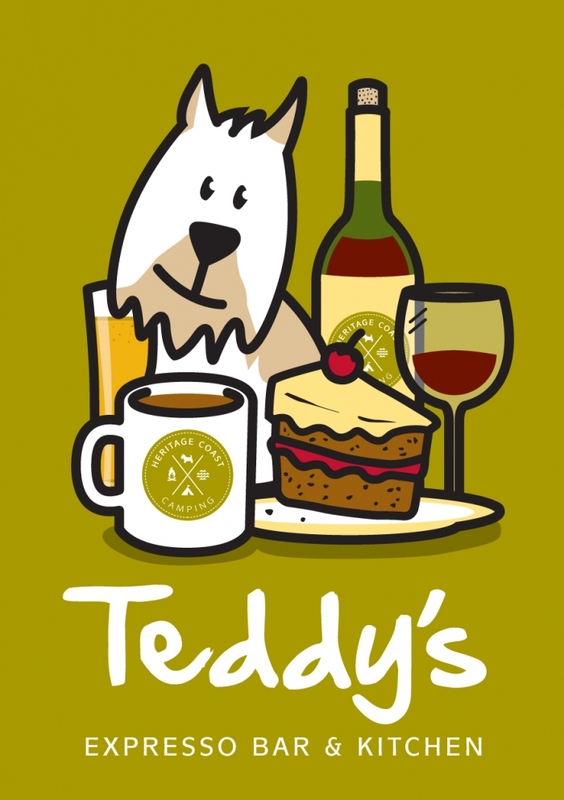 First port-of-call was to introduce a new logo and a series of quirky illustrations intended to interact with their customer base. 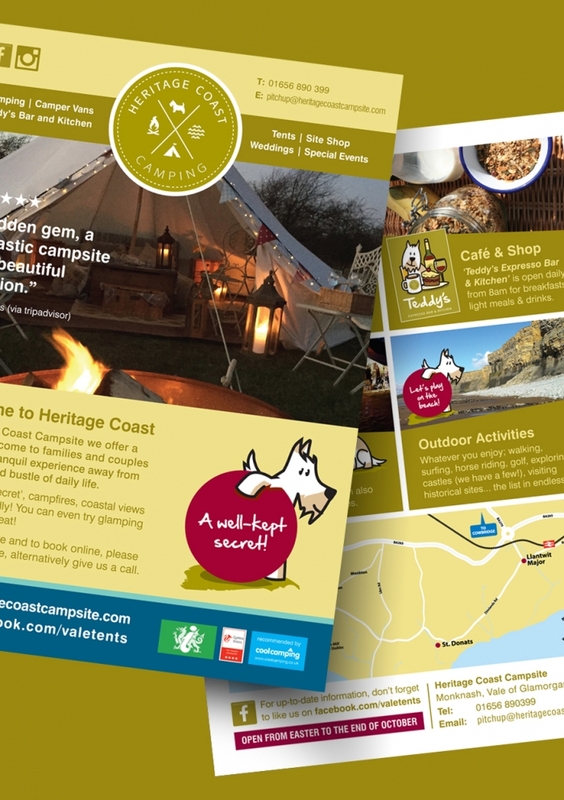 The new-look branding has been used over a number of different advertising elements including flyers, posters, social media and website.